I had every intention of building a “vintage” style playset for the ReAction Buffy figures. I may yet get around to that. Until then, I wanted to find a quick display solution. 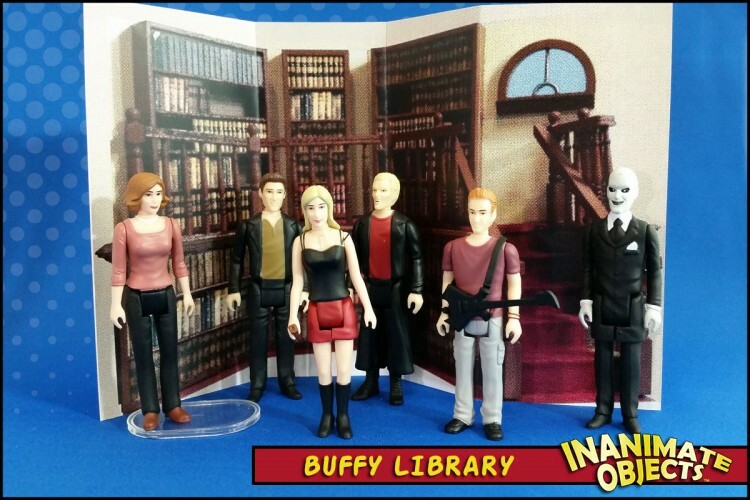 I dug out the old 6″-scale Buffy library playset (which is far too large for the ReAction figures), and photographed it. I then ran the image through some filters in Photoshop to give it a vintage printed touch. Then it was simply a matter of printing and folding. You can download the Buffy Library in the downloads section, ready to print!